Ready for Fortnite on Android? In a round-about way, it’s now available. Over the weekend, the new GeForce NOW service hit SHIELD TV devices across the US. 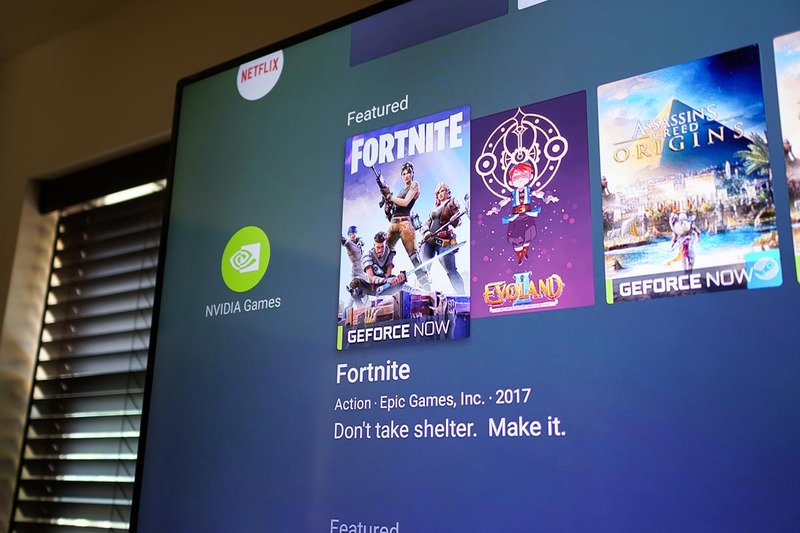 With it comes access to an extended range of AAA gaming titles running on an NVIDIA supercomputer in the cloud that are streamed directly to your Android TV box. A few of the games worth mentioning that are now playable on your SHIELD TV are Fortnite, Black Ops 3, Far Cry 5, PUBG, Jurassic World Evolution, Realm Royale, The Crew 2, Islands of Nyne, plus many more. NOTE: B&H Photo has the SHIELD TV with controller discounted by $20 right now. Now, the important thing to know is that while games like Fortnite: Battle Royale are free to play because its distributor doesn’t charge gamers to play it, other games will need to already be owned via Steam or Uplay in order for you to stream them. If you’re like me at the moment and only care about Fortnite, then all you’ll need is your Epic Games login and that’s it. Just keep in mind, if you’re coming from a console, be prepared for the sweatfest that is Fortnite players on PC. To find all of these new playable titles on SHIELD TV, head into the NVIDIA Games app.